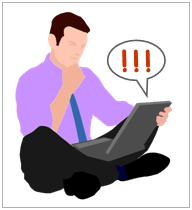 Exclamation marks are used at the end of sentences to express strong feelings of astonishment or emotion. Our generation has learned to use handfuls of emoticons, exclamation marks and question marks as substitutes for tone and body language in instant messaging and such. This communication style habitually creeps into our professional communications. Overuse of exclamation marks is a pet peeve of many professionals; some even consider exclamation marks minor annoyances. In reality, exclamation marks are not necessary; they are usually inappropriate in professional written communication or in academic writing. Many professionals consider the excessive use of exclamation marks as signs of inexpressiveness and professional adolescence. Do not use multiple exclamation marks to exaggerate your feelings. A single exclamation mark is sufficient. Repeated use of exclamation marks is distracting to a reader. The reader cannot clearly differentiate the more exciting expressions. Do not combine an exclamation mark with any other punctuation. Every sentence must end with a single punctuation—a period, a question mark, or an exclamation mark. If you are tempted to use an exclamation mark to attract a reader’s attention, try to reword the sentence. E.g., restructure “The C++ shell sort implementation had an error!” to “We found an error in the C++ shell sort implementation.” Alternately, reorganize your thoughts in an independent paragraph or bullet point. In the absence of facial or verbal cues, written communication can easily be misinterpreted. Resist the urge to convey emotion and feelings in email or in written communications. Avoid exclamation marks. 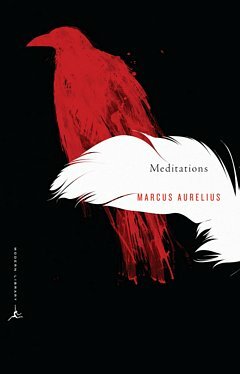 Roman Emperor Marcus Aurelius's diaries remain the sterling paradigm of the stoic mindset: civility, moderation in all things, and taking in triumph and tragedy with equanimity.